I printed this recipe off from Martha Stewart over 4 years ago and I finally decided to make it yesterday for St. Patty's day. Using a pastry blender or fork, mash together egg whites and yolks in a large bowl; carefully fold in avocado. Stir in mayonnaise, mustard, and lemon juice; season with salt and pepper. Place 3 slices of bread on a work surface. 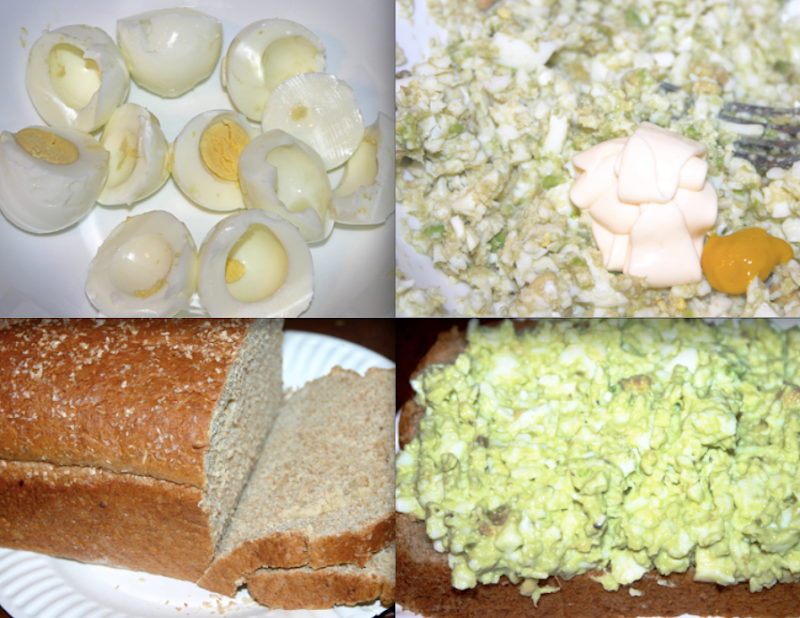 Evenly divide egg salad among bread slices. Add lettuce greens or tomato, if desired. Top with remaining 3 slices bread. Serve. It's pretty good and I'll definitely make it again if I have avocados on hand. ps, see the wheat bread above...so good...store bought...for $.70...I have a post I want to do about it.